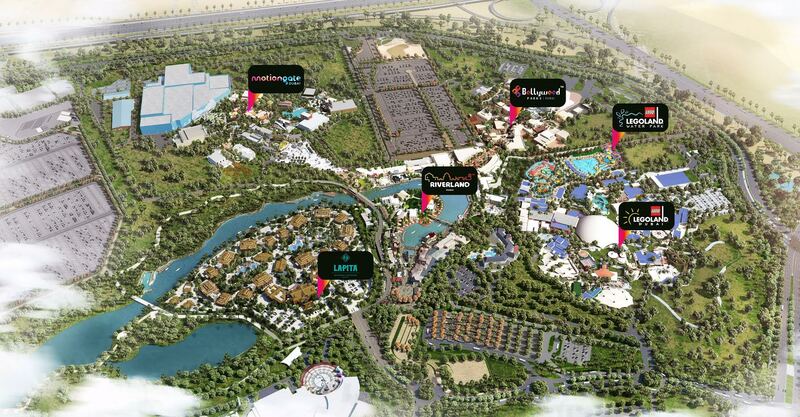 When Dubai Parks and Resorts, the Middle East‘s largest theme park destination, opens in Dubai later this year, a sophisticated building management system from Siemens will be hard at work behind the scenes. The Siemens Desigo CC Building Management System (BMS) will control the day-to-day operation of buildings across the Dubai Parks and Resorts destination, making it the first implementation of the technology in a Middle East theme park environment. The BMS technology brings together key building functions into one system, monitoring and controlling technical infrastructure at MOTIONGATE™ Dubai, LEGOLAND® Dubai and LEGOLAND® Water Park, in addition to Lapita™ Hotel. It will allow the optimization of systems including heating, ventilation, air conditioning, lighting, fire alarms, water metering, room automation and energy management across multiple buildings. A customized 3D graphical interface will display the status of these different systems in real time, enabling operators to monitor and control the performance of buildings across the large site from a single location. Global installations of Desigo CC have enabled reductions in building operating costs of up to 20 percent, and versions of the technology have been installed in Abu Dhabi’s Sheikh Zayed Grand Mosque, Tornado Tower in Qatar, the 3D-printed ‘Office of the Future’ and the Atlantis Hotel in Dubai, and the Siemens Middle East headquarters building in Masdar City, Abu Dhabi. Matthew Priddy, Chief Technical Officer at Dubai Parks and Resorts, said: “We are extremely excited about this collaboration with Siemens technology, and confident in the long-term benefits of utilizing this digitalized infrastructure system in the day-to day operations across the destination.” He added: “Using an advanced building management system is essential for an entertainment destination of this magnitude, and it will enable us to increase productivity, monitor energy consumption, control and optimize operational costs, and most importantly increase security and safety features”.